I am a (Full) Professor of Computer Systems at the School of Computer Science, University of St Andrews, and an Honorary Fellow at the School of Informatics, University of Edinburgh. I serve as Group Leader of the Systems Research Group (SRG) and I co-chair the Annual UK Systems Research Challenges Workshop. I recently worked as a Research Scientist at Google, where I contributed to Borg: a large-scale distributed system which manages Google’s data centre infrastructure; this recent CACM article summarises my experience. Previously I held a prestigious Royal Society Industry Fellowship and was a Visiting Scholar at the University of California, Berkeley. I have industry experience in research and development at Google, Hewlett Packard, Cloudsoft, and BAE Systems. Prior to obtaining a faculty position, I worked as a Research Fellow at the University of Oxford, the University of Melbourne, and the University of Edinburgh. 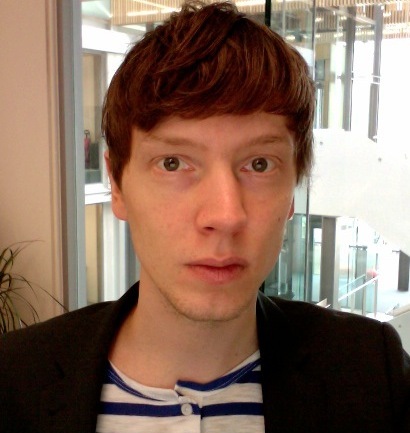 I hold a PhD in Informatics from the University of Edinburgh; the focus of my PhD was Web service choreography. I lead the Systems Research Group (SRG). Systems is the largest research area in the School of Computer Science, covering the broad areas of distributed systems, networked systems, sensor systems and data-intensive systems. My research has been featured in the MIT Technology Review, The Guardian, Forbes, Communications of the ACM and HPC Wire. To support my research I am an Investigator (both PI and Co-I) on grants from a diverse range funding sources, including the EPSRC, European Research Council (ERC), Royal Society, Google, Royal Society of Edinburgh, Impact Acceleration Account (IAA), SICSA, Amazon and Microsoft. I am an Associate Editor of the IEEE Transactions on Services Computing (TSC) and Cluster Computing. I am an alumnus of the Scottish Crucible, a research leadership programme. I serve as a regular Independent Expert and project evaluator on big data for the European Commission. I am always looking for engineering focused PhD students interested in pursuing research on topics related to distributed systems, cloud computing and data-intensive computing. I have a successful track record of PhD supervision and have currently supervised four doctoral students to completion. My recent PhD students have ended up in top-tier companies including Amazon, Nvidia and Adobe. Please read my PhD FAQ before contacting me.